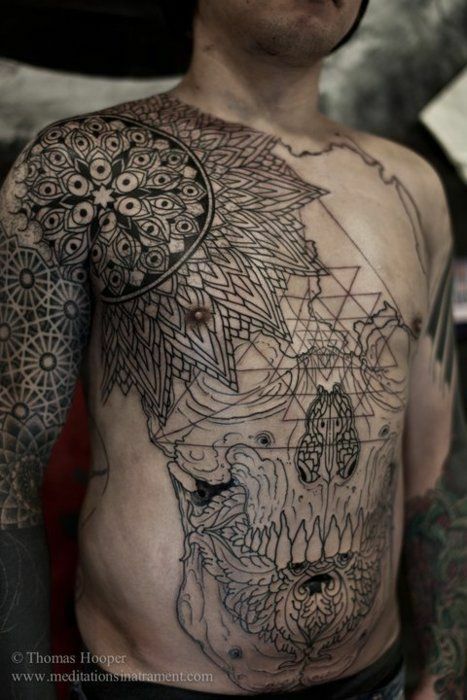 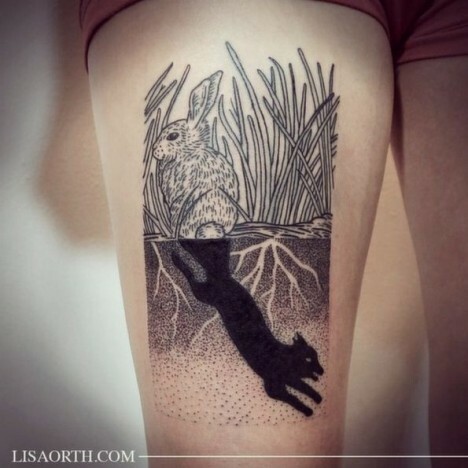 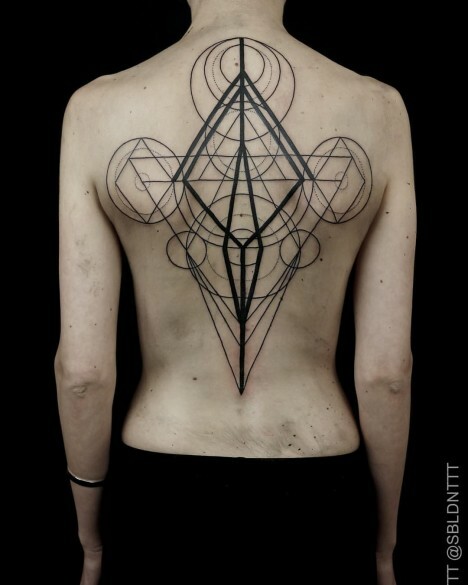 Working primarily in bold, black ink, these 13 top tattoo artists working in Kyoto, London, Berlin, Kiev and throughout the United States stand out for geometric and illustrative styles that put the emphasis on line work. 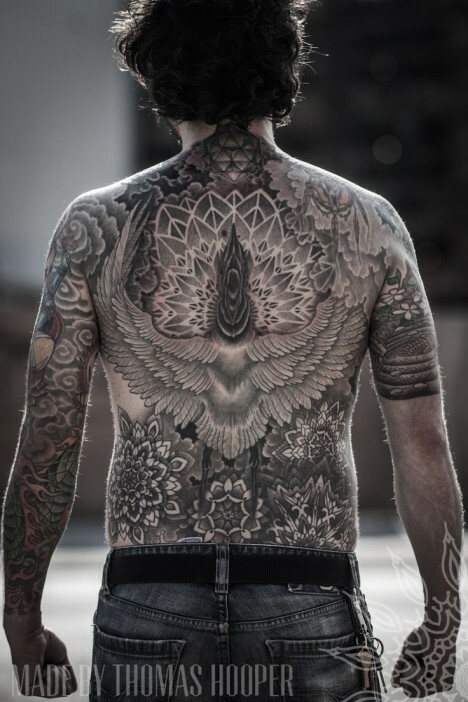 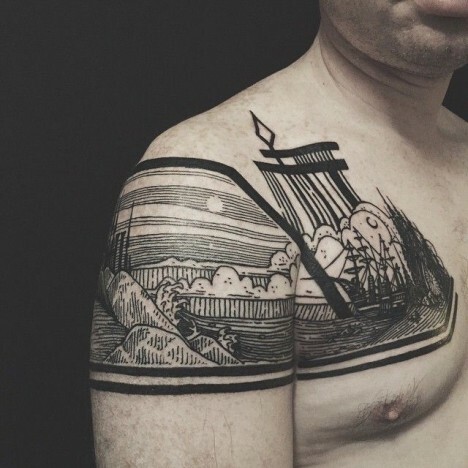 Whether they prefer minimalist compositions or cover entire torsos with amazingly intricate shapes, they create living works of art that are literally walking advertisements for their talent. 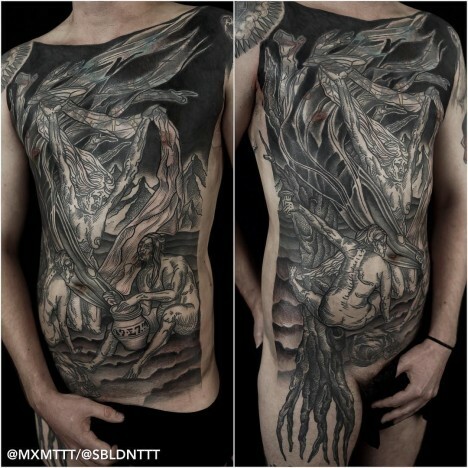 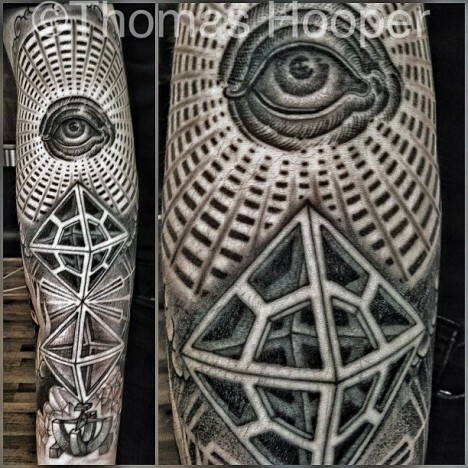 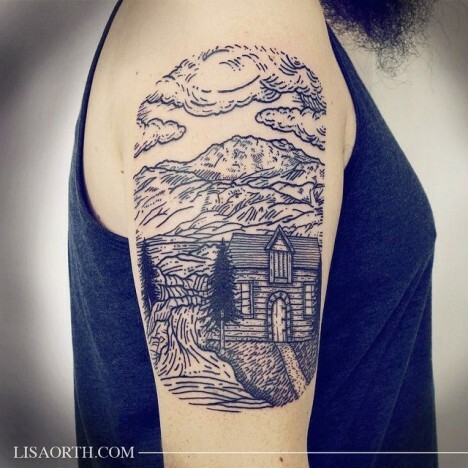 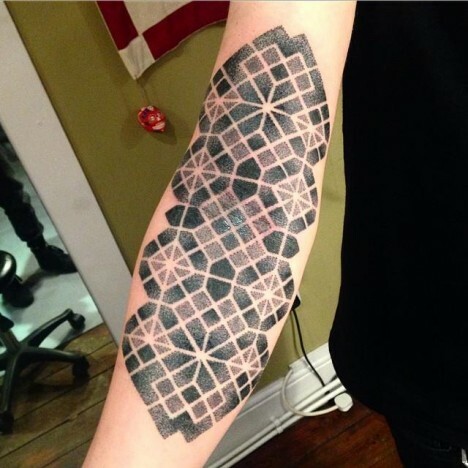 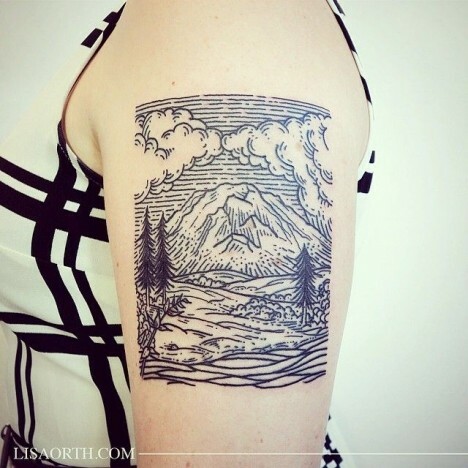 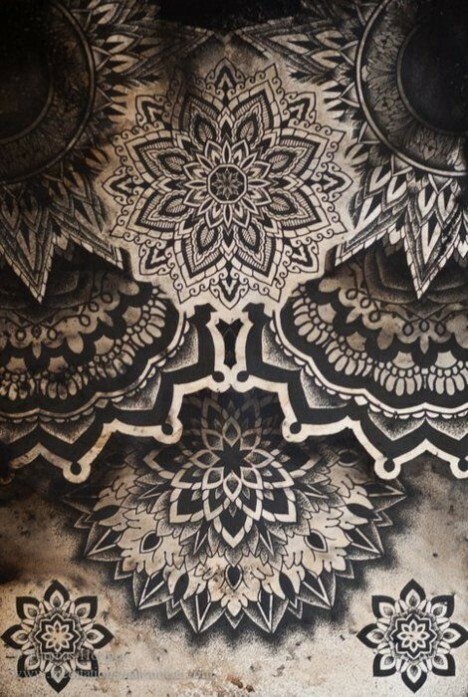 North Carolina-based tattoo duo Houston and Dagny aka Thieves of Tower have developed a distinctive style, often covering large areas of the body in sweeping landscapes full of stark architectural details. 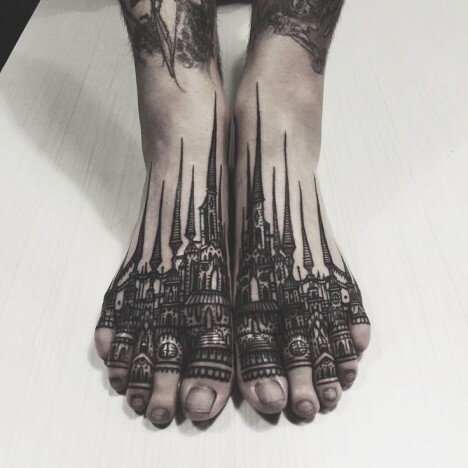 Legs might become a diptych of bold black lines contrasted with clouds, and spires rise from a cityscape stretching across a chest. 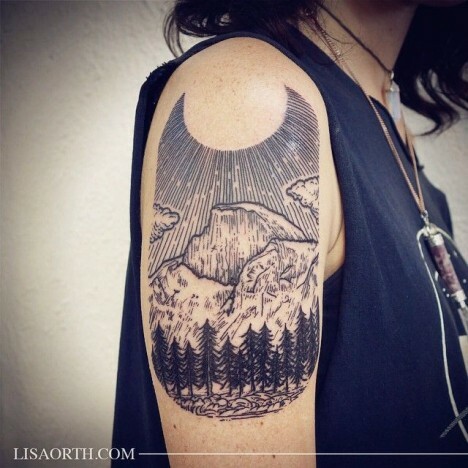 Frequently working in Los Angeles and traveling around the country, Seattle-based artist Lisa Orth works in a dark, graphic style reminiscent of old woodcut prints and etchings. 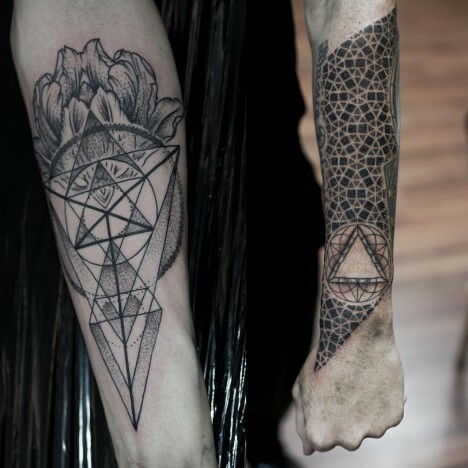 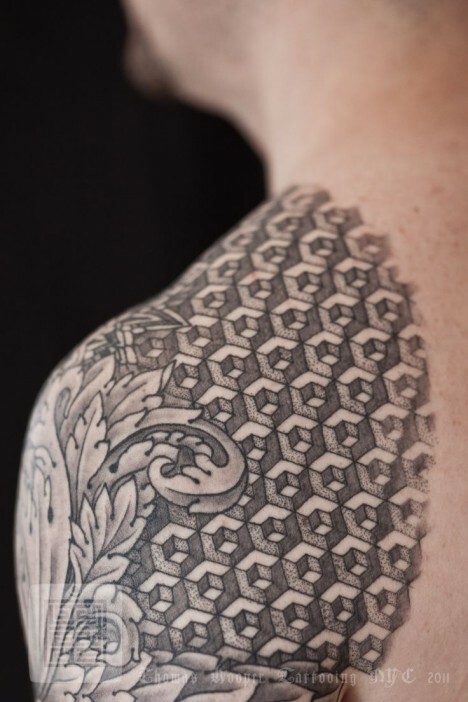 Working primarily out of Sang Bleu studio in London, Maxime Buchi (better known as M-X-M) is a modern master of both medieval etching styles and geometric work, often combining them for an intricate and instantly recognizable result. 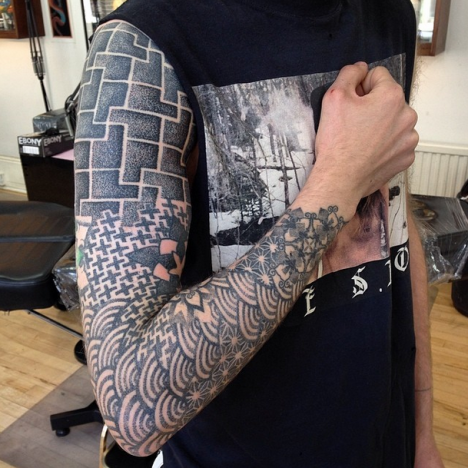 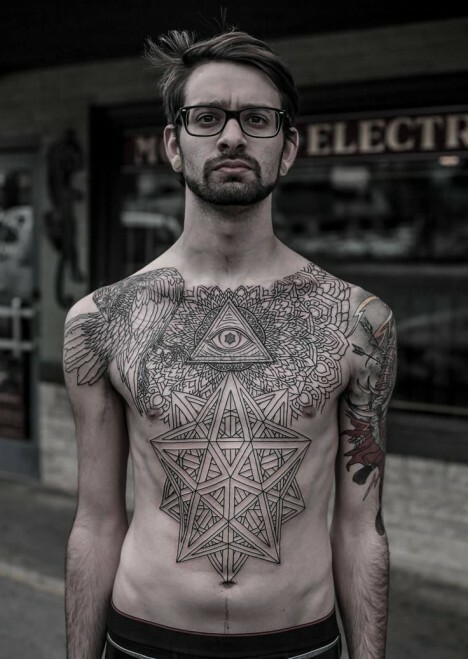 Want to get tattooed the old-fashioned way? 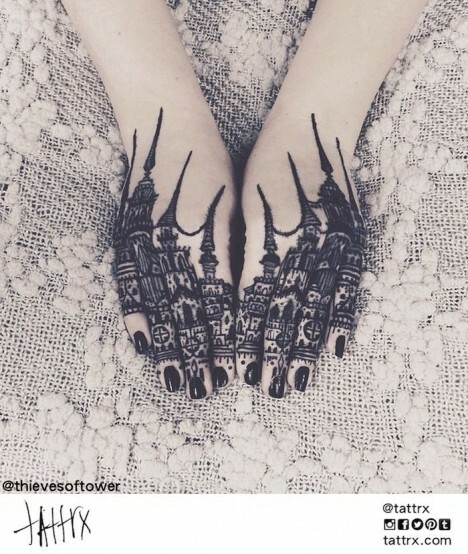 Hand-poking has gotten a bad rep because it’s so accessible to amateurs, but there are masters of this ancient craft who choose to work without machines professionally. 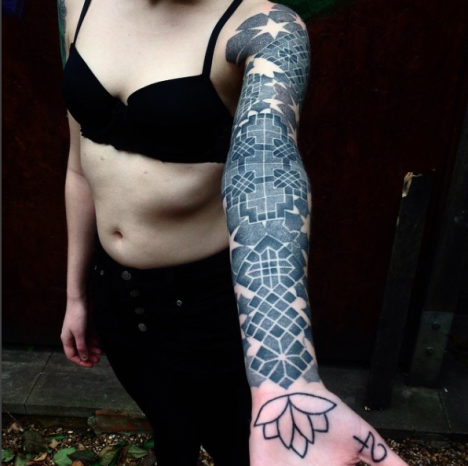 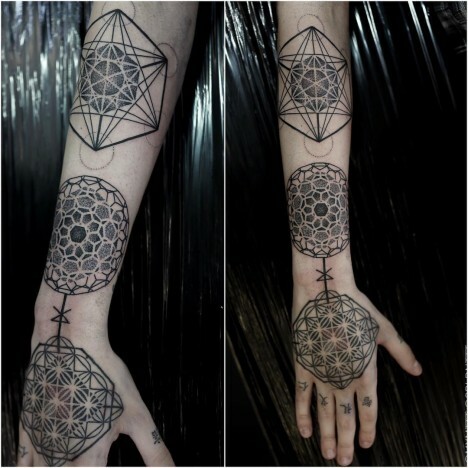 Check out Grace Neutral, who has gotten incredibly proficient at the process over the years.